Alex Elkins is an up-and-coming rugby player who has served as a multi-sport athlete through the beginning of his career. Playing basketball, baseball, wrestling and rugby at Keller High School, Elkins continued to pickup skills in football earning a place with the nationally ranked Blinn Junior College in Texas. In 2013, Elkins held a position as a linebacker with the NFL's Detroit Lions before devoting his attention to rugby full time later that year. 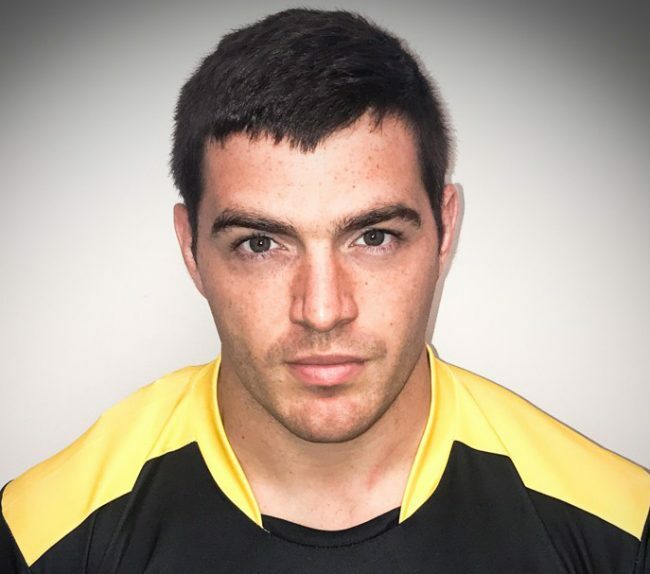 As a talented athlete on the sevens scene, the rising player suited up for the 2015 USA Halloween 7s with the Men's Falcons and even participated in several camps with the Men's Sevens in 2016. In early 2017, he joined the Falcons once more for the Sudamerica Rugby Sevens competition in South America where he suffered an injury which left him on the sideline for the rest of competition. Still, Elkins scored a place in the Men's Eagles' player pool for the 2018 Americas Rugby Championship (XV), but was forced to continue recovery and unable to compete for a spot. Though he hasn't officially been capped yet, Elkins continues to become a familiar presence on the Eagles' watchlist.